If you’ve been following the Poetry Month activities at No Water River, you probably already know that Children’s Poet Laureate J. Patrick Lewis will be joining me here on April 30 with a ridiculously charming video poem and interview. So in honor of his visit, I thought it would be nice to give away one of his many books of verse. 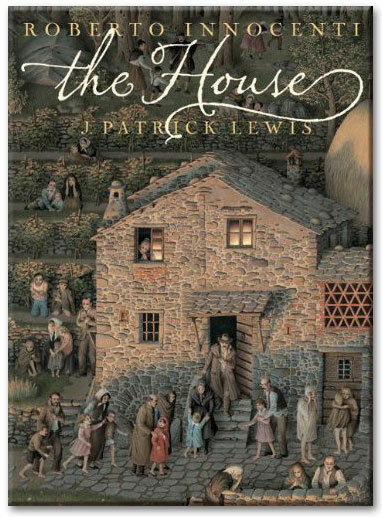 When I asked Pat which of his books he thought would make the best giveaway, he didn’t hesitate to name The House , an exquisitely beautiful book published by Creative Editions and featuring the incomparable art of Roberto Innocenti, winner of the 2008 Hans Christian Andersen Award. In the case of this oversized picture book, the illustrations came first, and then Pat was asked to provide the poem in what would be his second collaboration with Innocenti (after The Last Resort in 2002). Pat tells the story in quatrains, one per page facing a small illustration, then followed by a wordless and detailed two-page spread of Innocenti’s artwork. What’s really unique about this book is that the perspective of each illustration is always the same, but we see the changes in the house, surroundings, and people over a span of one hundred years. During this time, we are privy to all the happenings in the house, and the house’s thoughts about them, from birth, marriage, and death to war, harvests, and hippies. Midsummer’s dress is maid-of-honor green. A mason-soldier from the bottomland. Life holds its breath when weddings intervene. From wife to widow…and the depths of grief. Bundled in virtue, books, and classroom fuel. Excerpts from The House copyright © 2009 by J. Patrick Lewis. Illustrations © 2009 by Roberto Innocenti. All rights reserved. What a gorgeous book to add to your library! 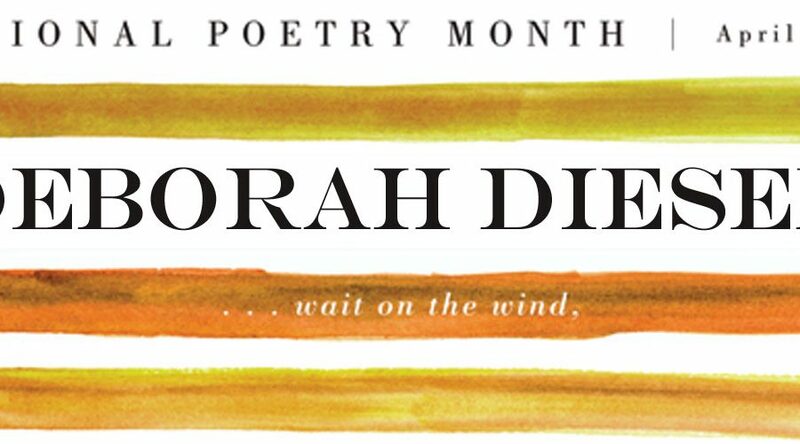 Leave a comment on this post that includes a favorite line from any poem under the sun — or write your own poetic tidbit! If you also decide to Like No Water River on Facebook, that would be lovely, but not necessary to enter the giveaway. This giveaway runs until midnight EST on April 29. The winner will be chosen at random and announced on Pat’s post on April 30.
will keep our Friday the 13th bright and gay! I am so looking forward to your interview with J. Patrick Lewis, and what a lovely giveaway. I have long loved and lived by the folloiwng lines by Robert Frost. What an incredibly wonderful sounding book! Poetry has been a part of my life all my life. My mother and I used to quote poetry to each other so often. One of her favorites, and mine, was The Lake Isle of Innisfree, by William Butler Yeats. Poetry speaks to the core deep within my heart. How did I not know about this book? Gorgeous! My favorite poem is one by Ogden Nash called “The Adventures of Isabel”. It is one I have loved since I was wee. I have fallen out of the habit of reading poetry, but your blog has inspired me to find more poems to share with my guys. Thank you. The end of this poem is the best. I love Isabel. One of my favorite poems by Emily Dickinson. There are so many beautiful lines of poetry that I love. What I love most about poetry is that there is a poem that speaks the truth of every feeling, of every mood, of every human experience…. It’s been one of those weeks for me, so I’ve had Maya Angelou’s “Still I Rise” resonating in my brain…. Even though I’m allergic to cats I adore the poem MIDNIGHT STRAY by Rebecca Kai Dotlich, especially the last line. I’m loving all these favorite lines, everyone, but so far I’m most taken by these from Rebecca Kai Dotlich — how beautiful is that?? Meow. Some translations are better than others, but this seems close to the one I had copied into my high school notebook – oh so long ago! Thank you for this chance, Renee & I’m looking forward to Friday with J. Patrick Lewis. One of my favorite lines is from a poem from Karla Kuskin’s poem “Thoughts That Were Put Into Words”, a goodbye poem. It is “The leftover afternoon light/Slips away/On the wind like a sigh.”. “The House” is absolutely beautiful. What a lovely giveaway. Thanks, Renée and Patrick. 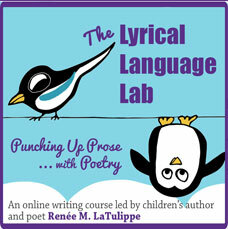 Pingback: Deborah Diesen reads her poem for children "The Daffodil Dance"
I’m a huge Shel Silverstein fan. (but you probably knew that already). BTW my web site is wordsaremyworld.com – http://www.wordsaremyworld.com – not sure why your blog says it is not a valid URL, it is. I keep returning to this particular post for some reason. Each time i return, I wonder, “Where is my comment about this book. I remember commenting on the book’s illustrations and the poem? I know I left one.” I look and I never see it. In my mind, I’ve written about the pages in this book. Although, I’ve never read this book. I wish I knew why it seems so familiar. Oh…because I keep visiting this page, looking for my post. my fumbling in your dark. What a fun give away! Here’s a favorite line from a favorite poem. Do you recognize it? 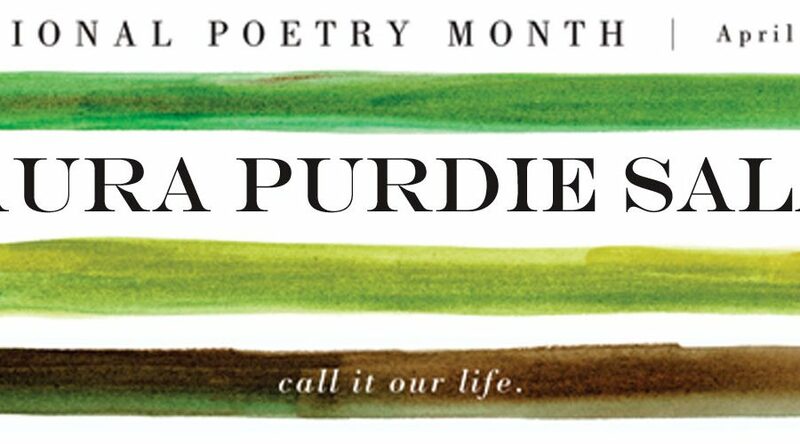 I appreciate your posts and love the way you have used the Poetry Month poster to introduce each of your poets this month. Pingback: Charles Waters reads his poem for children "A Dog Manifesto"
Pingback: Irene Latham reads her poem for children "Dolphin Learns to Spin"
Pingback: Julie Larios reads her poem for children "No Strings Attached"
Pingback: Lee Wardlaw reads from "Won Ton: A Cat Tale Told in Haiku"
in wind leaves swirl of yellows, reds and crispy brown. meander along the blue trail, of poetry and surprises. a friend, a mate, a delightful place called “No Water River”. Loved the book and review thanks Renee. of course I should have read more carefully… mmm a favourite!! Gosh so many and then there is one I have come to love which I received only a couple of years ago…..
That’s full of dark self-pity, As far as I can tell….. I have “Last Resort” in Estonian on my bookshelf. ‘The House” in English would be a dream company for it. “Ei ole paremaid, halvemaid aegu. I would love to win this book. What an amazing cover! What a lovely lovely looking book. I would love to be entered to win it… Thank you so much. I’ve always liked that (Robert Frost). I am the voice beside every new thing.